As you all know, it's 12/12/12 today. For a brief moment, it will also be 12/12/12 12:12:12,12. While this is undoubtedly all very exciting, instead of waiting for the apocalypse, let's talk about V12s instead! That is the right thing to do! Twelve-cylinder engines came to cars from aircrafts, as the first V12s were made by the likes of Maybach, Daimler, Renault, Sunbeam and Packard. After powering the most luxurious automobiles and setting up numerous speed records between the two world wars, V12s soon made it into motorsport, with Ferrari building its first car powered by a 1.5-litre Colombo V12. 1969 was loud from Porsche's mighty air-cooled flat-12 producing somewhere north of 580 hp in its earliest forms. 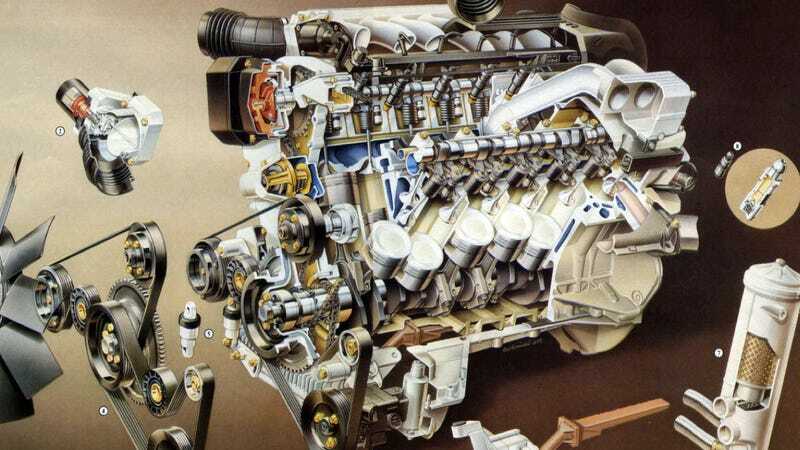 While a bunch of teenagers at Lamborghini shocked the world with the Miura's transversely-mounted V12 layout, Ferrari also used V12s in everything from its Formula-1 cars to the beautiful Daytonas. BMW also started putting V12s into its flagship 7 Series in 1986, meaning that pretty soon, the rest of the Germans had to follow. Volkswagen even went for a W12, but BMW got the crown much earlier, at the exact moment the first McLaren F1 was finished in Woking. While Lamborghini just made a brand new one for the Aventador with 690 hp, Ferrari also decided to put a naturally aspirated V12 into it's fastest ever supercar, with a peak output of 730 hp at 8500 rpm. But no matter what the Italians do, the downsizing trend will most certainly kill the V12s in the long run. Which are your favorites from the last hundred years?